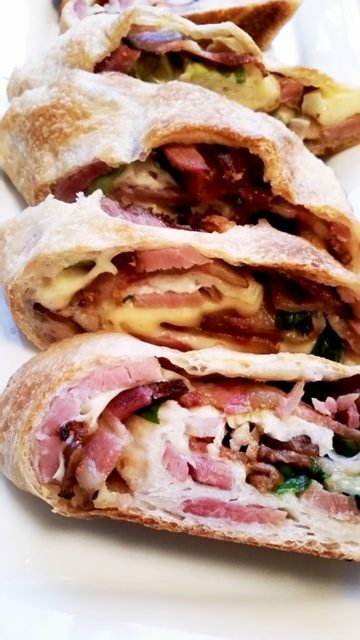 Delicious melted cheese, ham, bacon and green onion stromboli! Perfect for a weeknight or weekend dinner when you are pinched for time and are craving some Italian comfort food! I baked a Honey Baked Ham and had lots of leftovers! 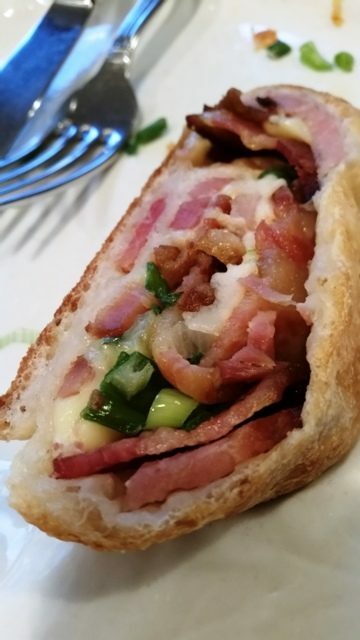 I wanted to make a Stromboli with baked ham, swiss cheese, bacon and green onions! This was perfect! We had about an hour for dinner before we had to be at the airport. 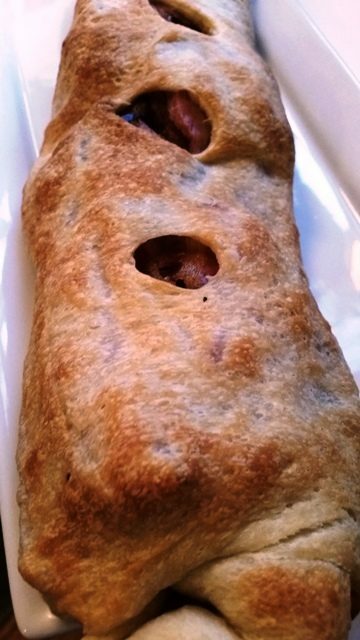 Check out how easy it is to make this Cheesy Ham Stromboli! Please watch my video! 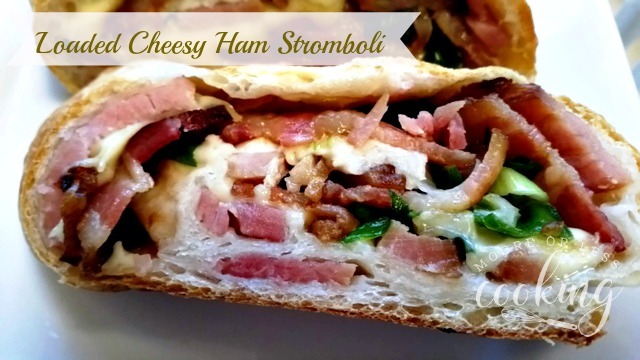 This easy loaded Stromboli is filled with ham, cheese, bacon and green onions. Perfect for a busy schedule for dinner time! 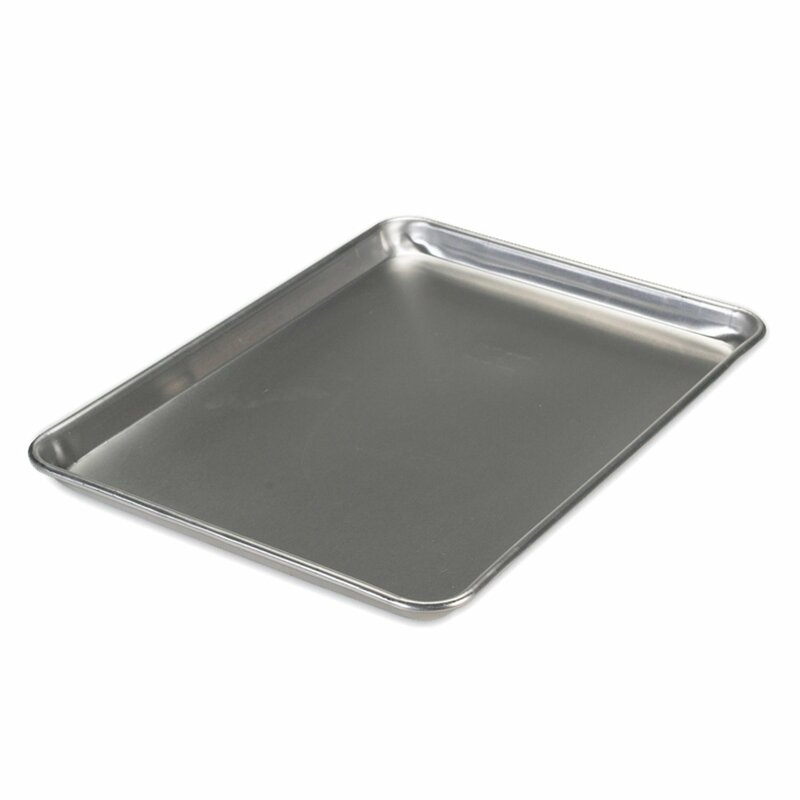 Unroll dough into a rectangle on a greased baking sheet. 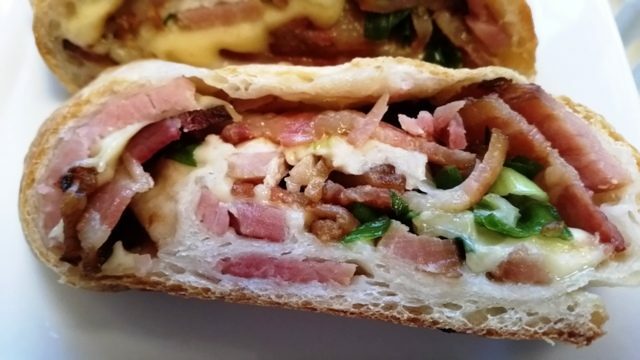 Place sliced ham over dough leaving ½ inch of edges of the dough. 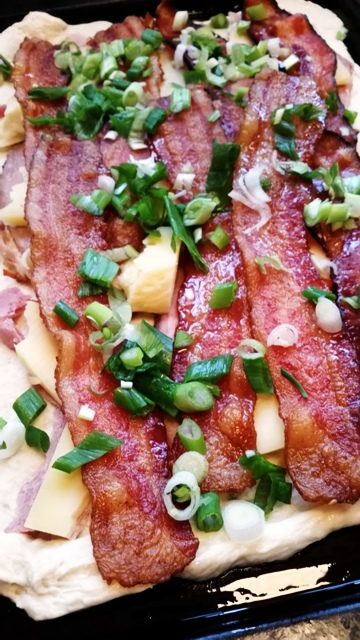 Sprinkle evenly with green onions, bacon, and cheese. Pinch seam to seal and tuck the ends under. 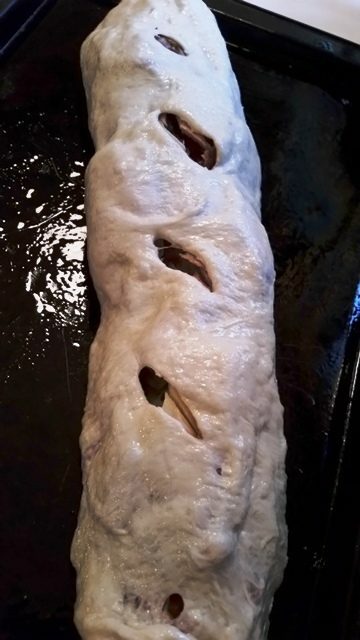 With a sharp knife, cut several deep slits on top of french loaf dough. Bake 20-30 minutes or until golden brown.